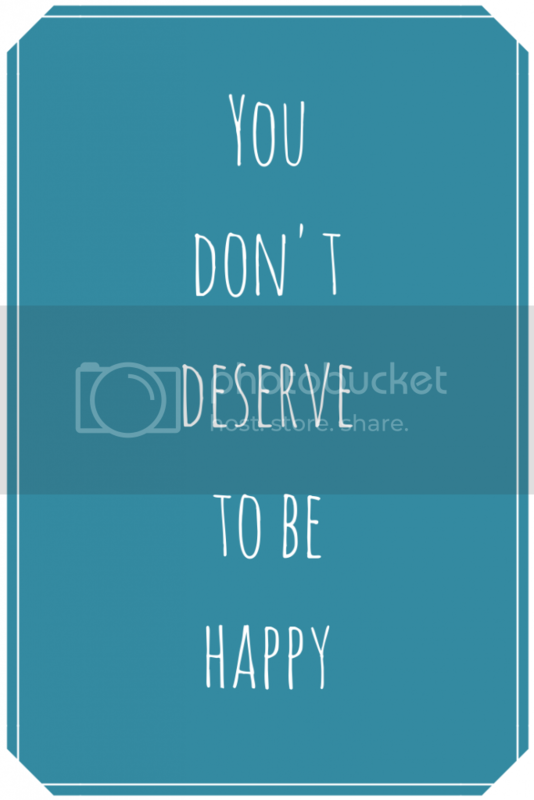 I keep running across a little internet counseling advertisement that says, "You deserve to be happy." I want to weep every time. to be worthy of, qualified for, or have a claim to reward, punishment, recompense, etc. : to rewardhim as he deserves; an idea deserving of study. It sounds good to a lot of people. Everyone wants to be happy. And we all want others to be happy. Those are good things. What could be wrong with taking that extra step and saying we deserve to be happy? I'm basically a "good" person. I haven't done any of the bad stuff like rob a bank, murder someone, or talk at the theatre. But I have envied. I have talked about people. I've boasted. I've been haughty. I've disobeyed my parents. These things are listed (in multiple passages) alongside the "bad" stuff. The truth is, everyone has done bad stuff. And bad stuff deserves bad stuff. The mindset of entitlement is everywhere and it leads to misery. 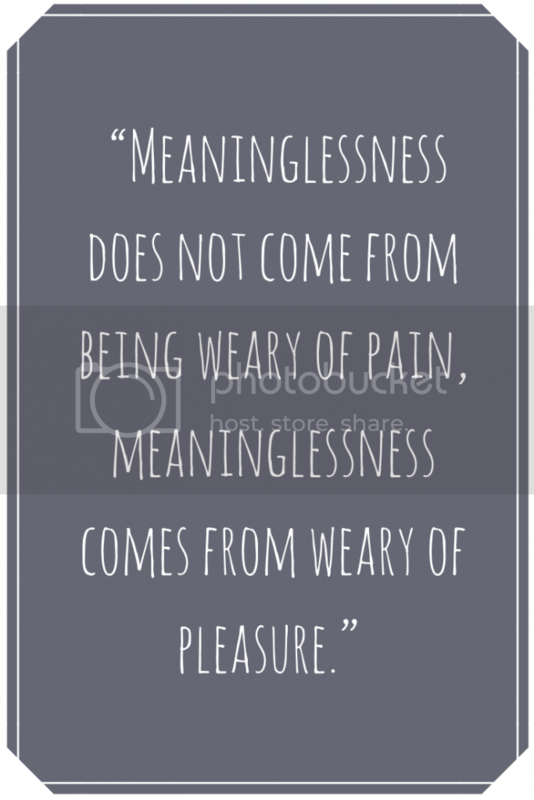 As G.K. Chesterton wisely said, “Meaninglessness does not come from being weary of pain, meaninglessness comes from weary of pleasure.” When we focus on what we think we "deserve", we focus on our desires and how our reality is lacking. We convince ourselves that we'll be happy "if only" we can achieve, acquire, receive just this one more thing. But the truth is, there isn't any such thing as being happy outside of God's will. A life of obedience can mean living in a house, a job, a family that we don't want. And yet, that's where God has full gifts of blessings for us. I think the little internet ad breaks my heart mostly because it is advertising for counseling to help people who are already hurting. When we're hurting, we don't want to hear that we can find contentment through obeying God in hard things. 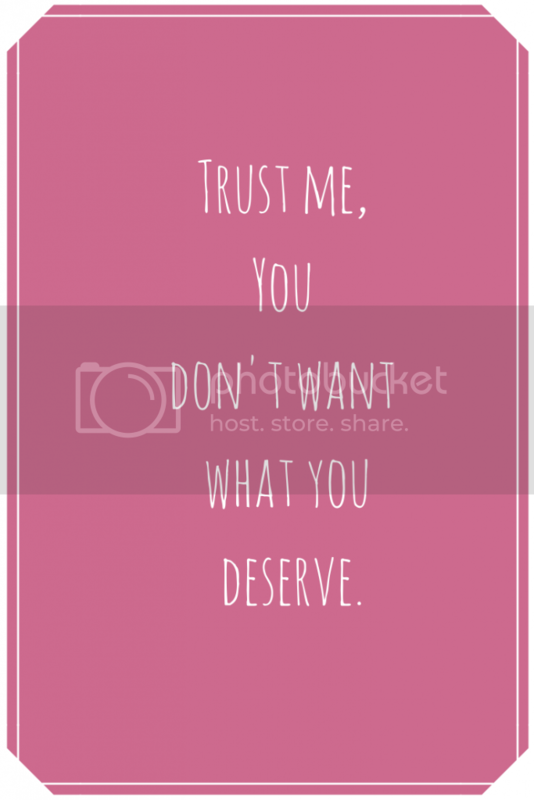 It is tempting to hear the affirmation that we deserve better. But it is deception. The truth is that focusing on our desires means focusing on our flesh and even focusing on our discontentment even more. It tempts us to make choices that are sinful in order to pursue what we "deserve". It convinces us that our unhealthy choices are good for us. But we're much more than flesh. We're spirit as well. 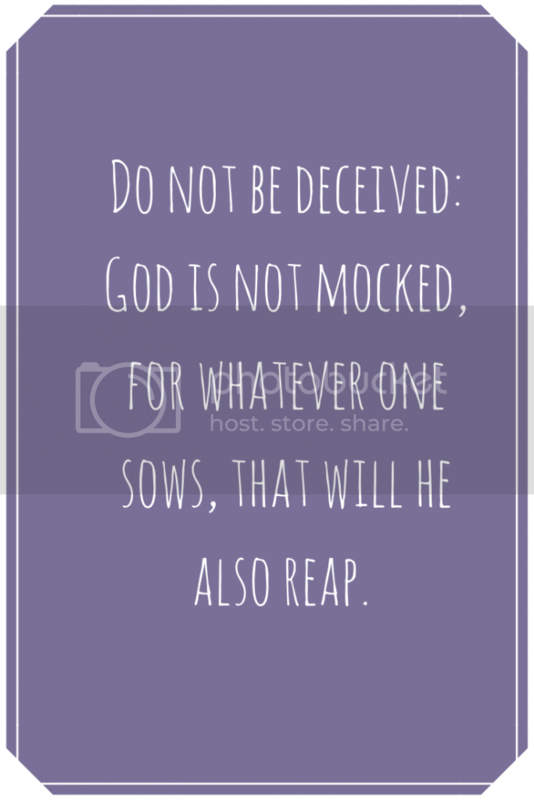 But here is the really, really cool part: God gives us what we don't deserve. He pours out His blessings and His gifts on us. Yes, it is hard to trust that the hard things He asks of us can actually be for our good. But think about it: He suffered horrifically and died to free us from sin and its punishment. That's a lot of love. He loves us and desires good things for us. His definition of "good things" sometimes differs from ours. But when we focus on Him instead of on us, He helps us see the beauty of it all. What a great message! I am so tired of hearing the "you deserve...." in the media. We really can't appreciate what we do have until we realize that we don't deserve every thing we want or see. Amen and amen. Thanks for being a truth teller and reminding your readers who we are. Praise God that He gives me what I don't deserve.